Free Printable Turkey Flag Coloring Page. Free Printable Turkey Flag Coloring Page to use at home, school, geography, or history class. You can print the copies you need of this flag and share with students for a fun and educational classroom activity. The children can have a great time coloring while learning more about Turkey. Print all the Turkey flags that you need for your students at school with your inkjet or laser printer. 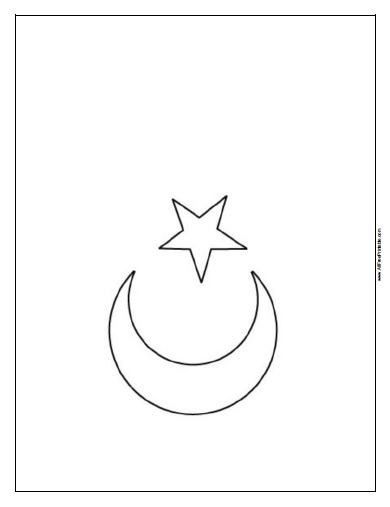 The Turkey Flag Coloring Page needs 1 crayon to color the red and white flag. Click the link below to download or print the free Turkey Flag Coloring Page now in PDF format.